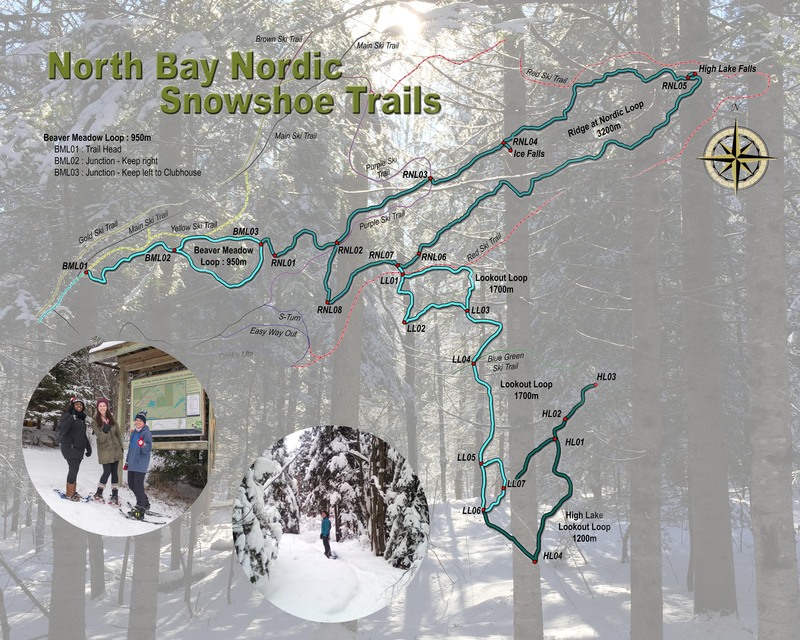 With kind hearted staff, a warm clubhouse, affordable rental rates, and trail passes, this is the perfect place to spend an afternoon or two on your visit to North Bay. The North Bay Nordic Ski Club is no newcomer to the Nordic ski world; they’ve been around since 1975 and at their current location since 1978. As you can imagine, as lot has changed in those 30+ years. 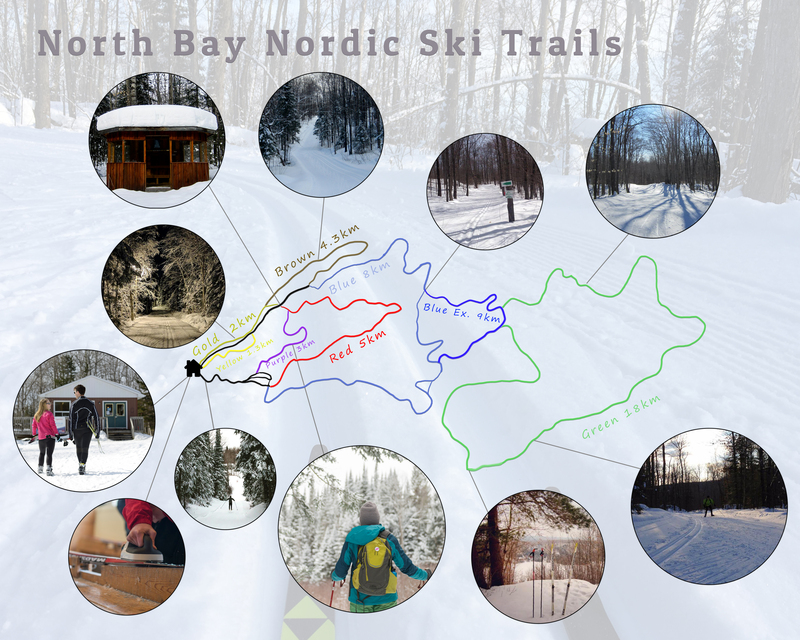 From equipment to clothing to trail appearance, the North Bay Nordic has kept up with the trends and now is an excellent place for both beginner and advanced Nordic skiers. As an added bonus, the Ski Club now offers snowshoeing trails and rentals for those looking to have a little more stability on the ground. 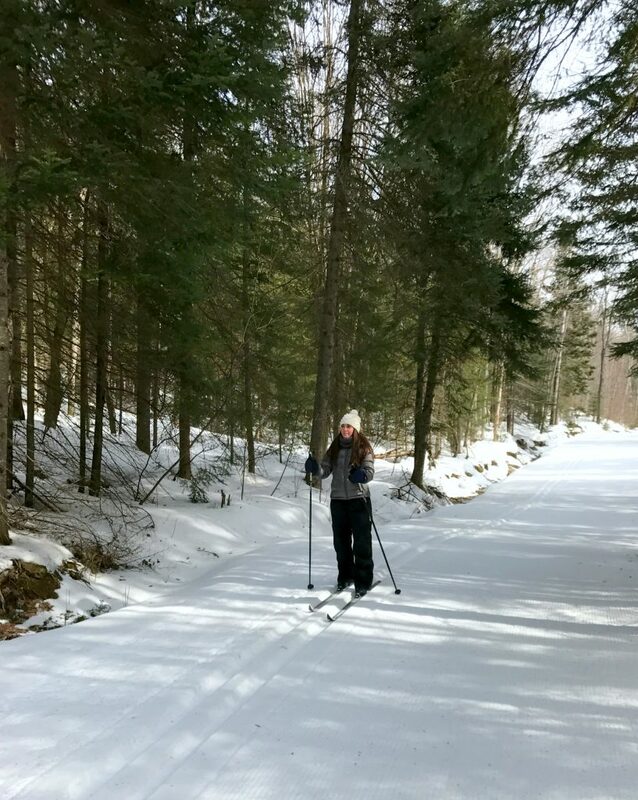 I recently got the chance to visit the North Bay Nordic Ski Club and although the weather was most uncooperative with its bone chilling temperatures, the warm hearts of the people that run this club made it well worth the drive. I managed to get a glimpse into what this ski club offers both its members and those just wanting to drop in. 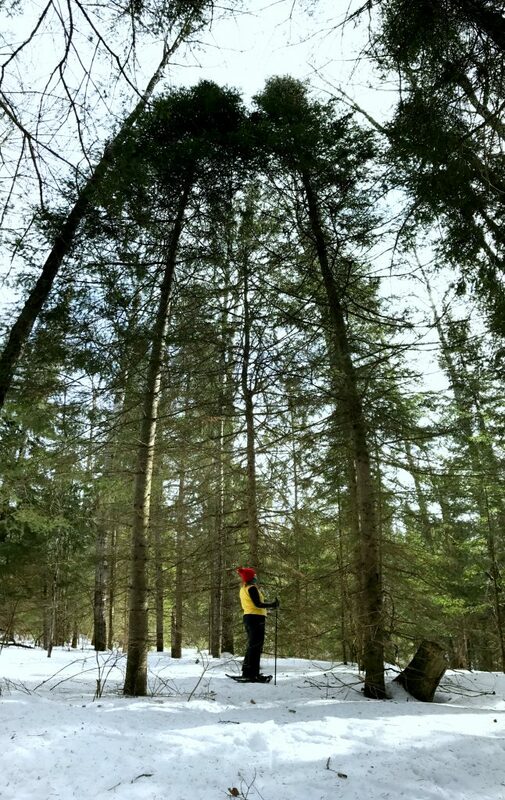 This is the most popular activity at the ski club and the abundance of trails beckons both beginner and advanced skiers. The trails are all set up as loops that leave right from the clubhouse and combined they measure over 50 km. For beginners there are three trails that measure no more than 2 km in length and are great to get your heart pumping and get comfortable on those skis. Once graduated from those, head to the most popular Purple Trail, 3 km in length. With gentle rolling hills and wide tracks, it is no wonder it’s the favourite. The remaining five trails feature significant uphills and downhills, and are best suited to someone who is comfortable on skis. The Green Trail is the longest, measuring a whopping 18 km! Snowshoeing is a relatively new sport to the North Bay Nordic Ski Club, but has grown quickly in popularity. One of the reasons is because of the outstanding trail network! Starting off at the clubhouse, snowshoers head out to Beaver Meadow Loop that measures just under 1 km. 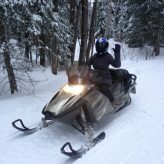 From there, about halfway around the loop you have the opportunity to venture off to two different snowshoe trails–one that has an outstanding ridge lookout view, or the other which leads you to Ice Falls. 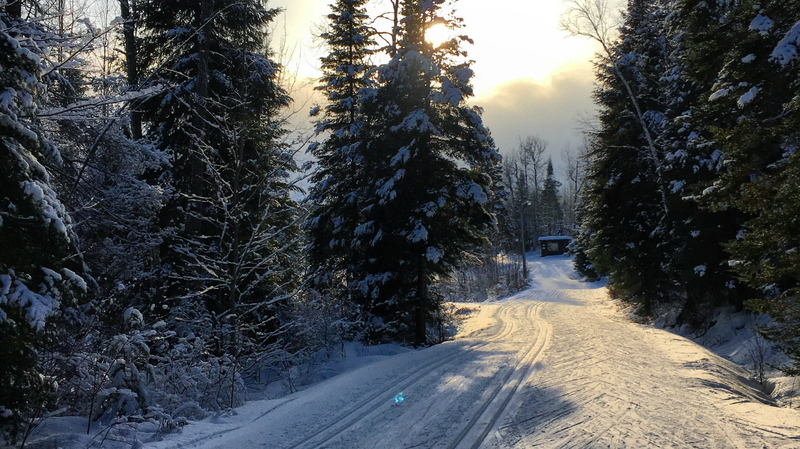 The trails are well marked and wind themselves beside and around the ski trails, making it easy to feel comfortable that you won’t get lost. 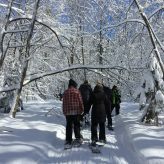 Want to try snowshoeing or skiing but don’t have the equipment? That’s not a problem here, as there are plenty of affordable rentals. 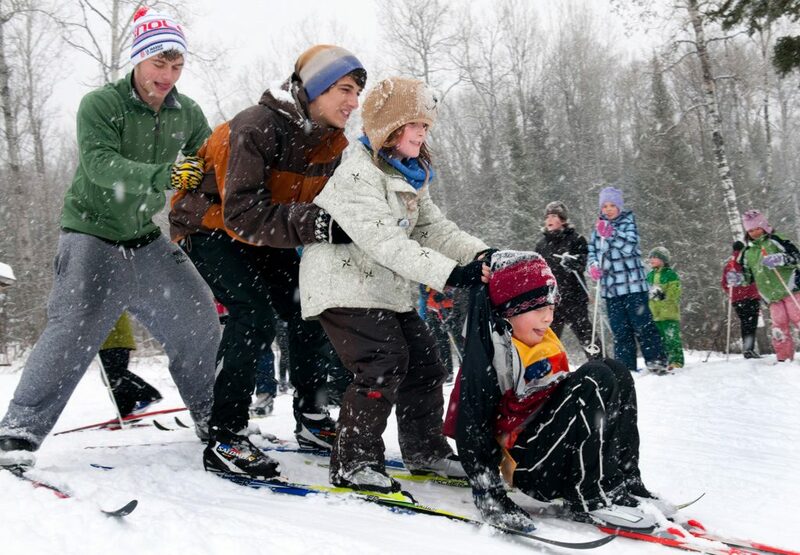 Adults can rent an entire ski package for just $14/day while snowshoes cost a mere $10/day. Visitors also must purchase a trail pass which costs adults $13/day for skiing and $5/day for snowshoeing. Membership options are a great choice for those who live nearby or plan on visiting more than a few times a year. Starting at just $165/year, it’s easy to enjoy the trails all winter long. One of the most appreciated parts of this ski club is the beautiful clubhouse, complete with hot lunch options, a wood burning fireplace, and indoor washrooms. Take a break from skiing or snowshoeing and warm up in front of the fireplace with a homemade bowl of soup and a coffee before gearing up and heading back outside. All gear rentals are offered in the clubhouse and there are plenty of tables and cubbies to store your gear. 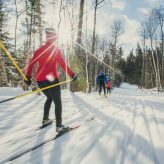 The North Bay Nordic Ski Club is located in North Bay, Ontario and offers over 50 km of groomed ski trails and three snowshoe trails. 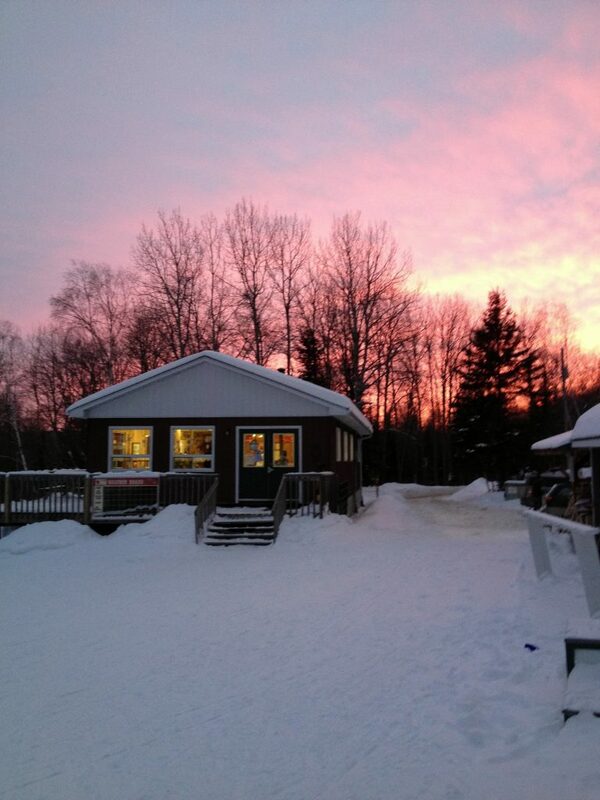 They are open from 9 am-9 pm during the winter ski season with two trails being lit from sunset to 9 pm.